PrintReleaf creates a global sustainability standard by certifiably guaranteeing to releaf the paper consumption of PrintReleaf customers. 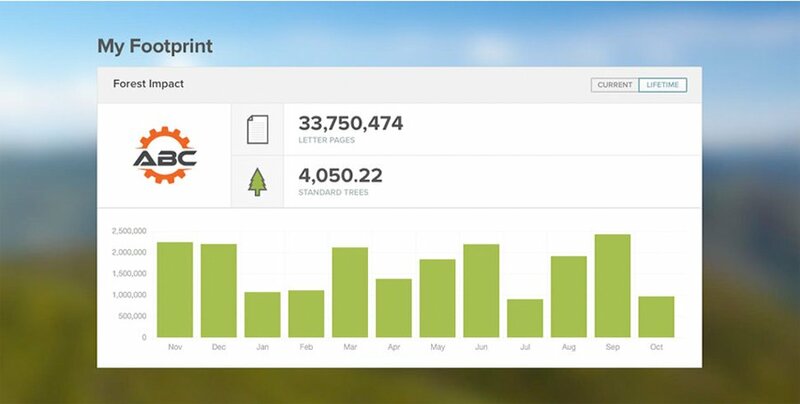 PrintReleaf is the only technology platform that measures customers’ paper usage and certifiably reforests that usage on an equivalent basis. The patented PrintReleaf technology not only tracks paper consumption, but also monitors PrintReleaf reforestation partners to ensure fulfillment. Market-leading companies with a passion for the environment and a progressive concern for advancing environmental stewardship, together with their customers, rely on PrintReleaf to provide a nexus of partnerships involving forestry, technology and business. For more information, please visit www.printreleaf.com.